We are comprehensively engaged in offering an unparalleled range of Polygon Turning Attachment, These products offered by us are manufactured utilizing optimum grade raw material at trustworthy vendors of the market. In addition to this, the offered range is attached on mounted on cross slide of lathe and is economical for batch type production. This Attachment is us to generate flat, square, hexagon, flat groves, etc. 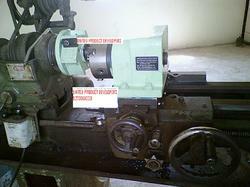 It is mounted on cross slide of lathe and is economical for batch type production. 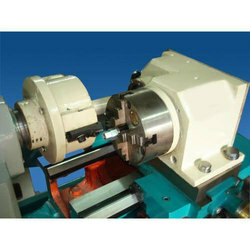 It can be used as substitute for milling machine. It has 300% more productivity then milling machine. It can be used for maximum job dia.of 25 mm.